We all know that droughts and using water efficiently are a part of California’s lifestyle. I wanted to give all my clients some ideas on how to use water efficiently, so I’ve created this list. I thought you all would enjoy it as well. The Environmental Protection Agency estimates that one in ten homes has a leak of 90 gallons per day. That equals almost 33,000 gallons of water per year! The most foolproof way to check for leaks is at your water meter. Check your water meter every couple of months, or at least once per year. It is quick and easy – and can save you tons of water and money! Make sure no one is using water inside the house, and the irrigation system is not running. Don a pair of garden gloves and grab a long handled screwdriver. Locate your water meter near your curb and pry off the concrete cover using the screwdriver. Flip open the cover of the meter and check for a triangle. This is the low flow indicator. Anytime water passes through the meter, this triangle will spin. If the triangle is moving,water is passing though the meter and going somewhere on the property. Even if it is moving very slowly, or fluttering every once in a while, this still means that water is passing through the meter. If you know that everything on the property is turned off and you see the triangle moving, then you have a leak. *You can also take note of the location of the needle or sweep hand. Note where the needle is or take a picture, and walk away for 15 minutes. When you return, it should be in the exactly same place. If not, you have a leak somewhere and need to find it. Most people don’t know this, but this knowledge will save you water just because you’ll be more aware of how much you use and more encouraged to reduce it. Collect your water bills from thelast year, and look for the amount of water you used. If it is measured in CCFs (100 cubic feet), you can easily change this to gallons by multiplying by 748. 1 CCF equals 748 gallons of water. According to the California Building Industry Association, most new homes use 174,000 gallons of water per year, with 57 percent used for landscapes and 9 percent used for over watering! How much water do you use? If you turn your irrigation controller off in the winter (you shouldbe able to during years of normal rainfall! ), you can get an idea of how much water you use indoors. The water use from December to March is usually the lowest, and the water use from June to September is usually the highest. The difference between these amounts can give you a rough estimate of how much water you use outside the house. How does this compare to the average new home in California? These nozzles are easy to change out, and many water districts offer rebates. These nozzles apply water at 1/3 the rate that typical spray nozzles do, allowing your soil to absorb the water without it running off. If you have lawn on a slope, this is especially important. Just remember, that you’ll have to water 2-3 times longer to apply the same amount of water, and don’t forget to check with your water district before you make any changes in order to get your rebate. Many people over water because they don’t change theircontroller as the days get shorter and cooler. Smart controllers automatically adjust your irrigation depending on the temperature, amount of rain, humidity, etc. By not overwatering, you’ll save 9 percent of your water or at least 16,000 gallons of water per year, if you are a typical water user as described in #2. Oh, and did I mention that your water district will rebate you the cost of the controller? Again check with them before you make any changes. These systems cost only about $100 in materials and can save you at least 3,000 to 6,000 gallons of water per year during the dry season assuming you wash 5 loads of laundry per week. Again, many water districts or municipalities will rebate you the cost. Be sure to check with them first. Spray irrigation is at around 50 to 75 percent efficient. That means that you are wasting 50 to 25 percent of the water you use for a lawn. Drip is 95-99% efficient so you waste less water. And remember you can use drip irrigation on lawns, too, it just has to be “subsurface” (4-6” below ground). Assuming your lawn uses 1 inch of water per week during six months of the year, changing to subsurface drip would save up to 3,000 to 6,000 gallons of water per year for a 1,000 square foot area. Most lawn grasses are considered high-water users, which means they use roughly 1 inch of water per week. By changing to a low-water lawn alternative, you can use about 50 percent less water. That conservatively means you’ll save almost 8,000 gallons ofwater per year for a 1,000 square foot lawn. Check with your water district or local municipalities for turf removal rebates to change your lawn to a low-water lawn alternative. Be sure to check with them before you make any changes. Similar to the item above, you can typically save even more water by removing all your lawn and even lawn alternatives. My estimate is that you’ll save closer to 75 percent of the water you now use for lawn or almost 12,000 gallons of water per year for a 1,000 square foot lawn. Again you can get rebates. Locally native plants are adapted to the climate conditions where you live, including annual rainfall. 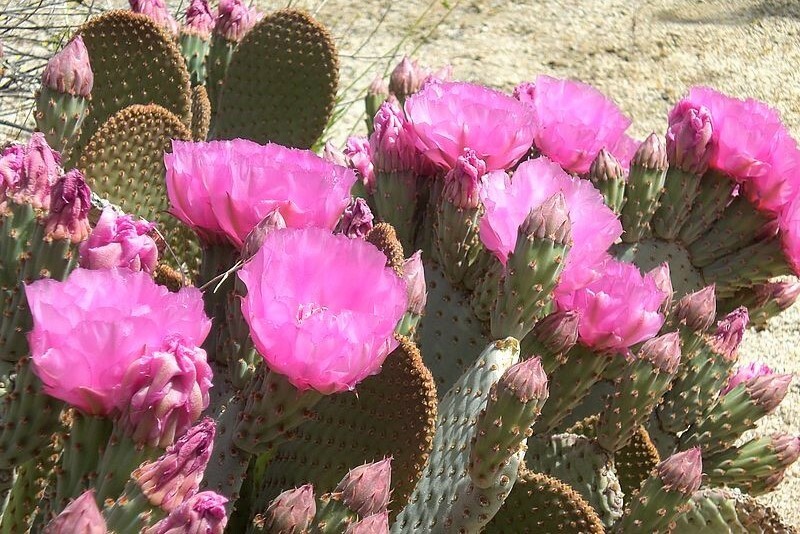 Once established, many of these plants do not need additional irrigation, and can thrive on annual rainfall alone! Finally, I wanted to share my water use numbers with you. My husband and I now use about 106,000 gallons of water per year for our 1957 house on a 10,000 square foot lot with a covered pool. We have a low-water use meadow, but no lawns, a drought-tolerant landscape, about 300 square feet of vegetable garden and lots of fruit trees. Only 20 percent of our water use goes outside and we recently changed all our toilets to be low water. Sherri Osaka is chair of the CNPS Santa Clara Valley Chapter‘s Gardening with Natives group and organizes over 30 free talks each year to the public in local libraries on gardening and landscaping with native plants.